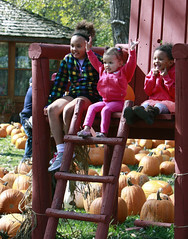 Papa’s Pumpkin Patch is open Friday, Oct. 23, from 12-7 pm however, there will be no extra activities open as we planned. We will have concessions available from 12-5 pm. Mother Nature certainly believes we need the moisture and has made most everything slippery and wet. 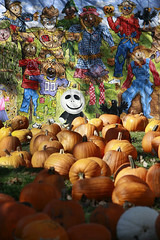 Here’s what is available at Papa’s on Friday: concessions (yes, they have hot beverages and food items), some pumpkins, squash and gourds; the Nature Trail, all of the Bale Mazes (slides and bales are wet), the Corn Crib and the Corn Maze. If you have mud boots, it would be a good idea to pull them on. 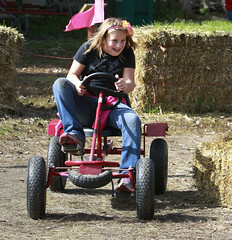 Due to safety concerns, we will not open the zip lines, pumpkin popper, pedal carts, corn cob sling shots, pony rides or train rides. On the bright side, tomorrow, Saturday, Oct. 24 looks like a fantastic day as our final day of the season! Previous Post October 21-23: There’s Extras at Papa’s! 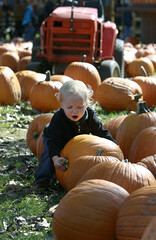 Next Post Saturday, Oct. 24: Last Day to Play and Pick Out Pumpkins!